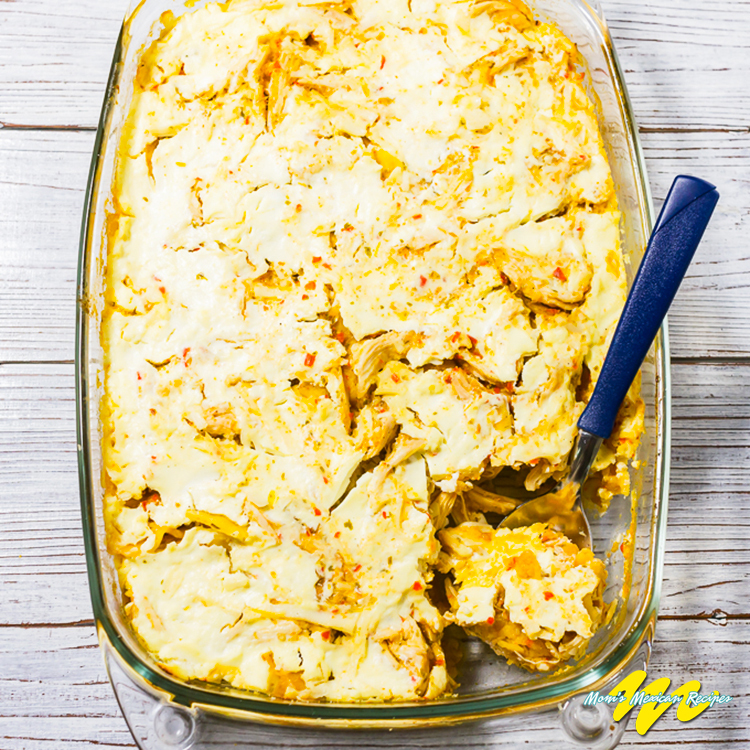 Learning how to make Chilaquiles Recipe is well worth the effort.Chilaquiles Recipe is a healthful combination of some of your favorite ingredients: green sauce, shredded chicken, and melted cheese.Quickly and simply prepared for a complete and tasteful meal. Chilaquiles recipe is perfect for breakfast or any meal of the day. 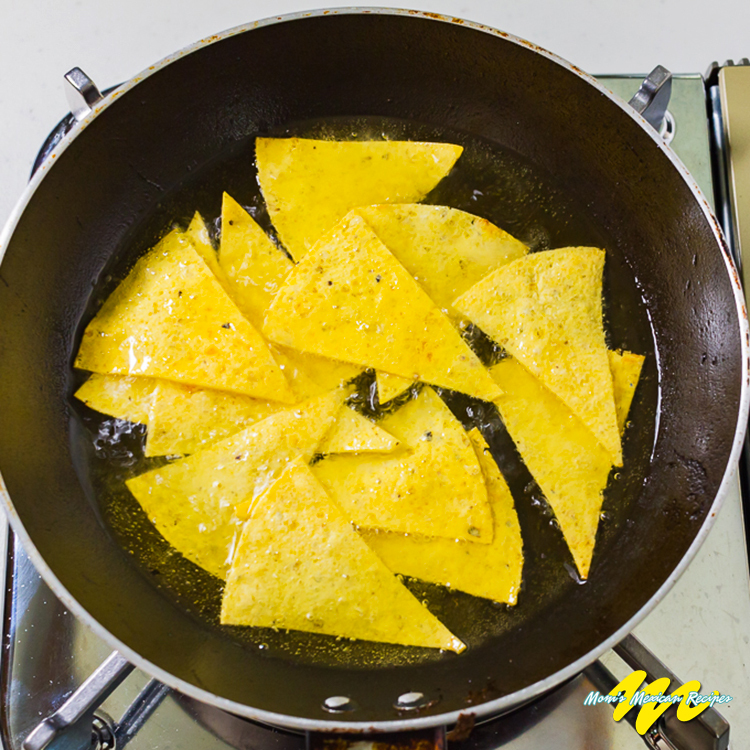 When preparing the ingredients, keep in mind that the amounts are flexible, that the chips are the only challenge to perfect chilaquiles, since they need to be thick enough to absorb just the right amount of sauce without falling apart.Otherwise, the basic approach to making chilaquiles recipe, like making most simple pasta dishes, welcomes imagination, traditional or not. 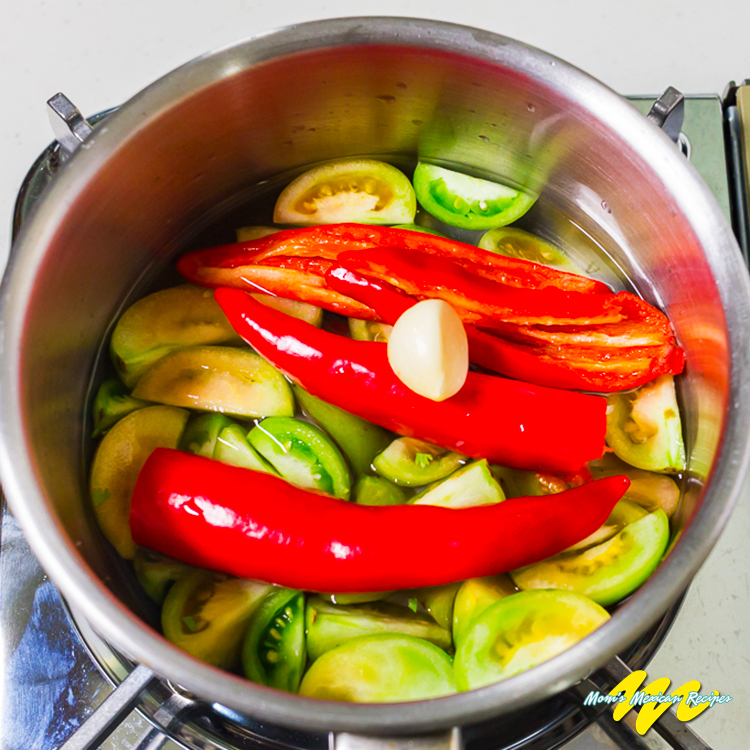 Boil the tomatillos in water with garlic, chili peppers, salt and pepper until soft. 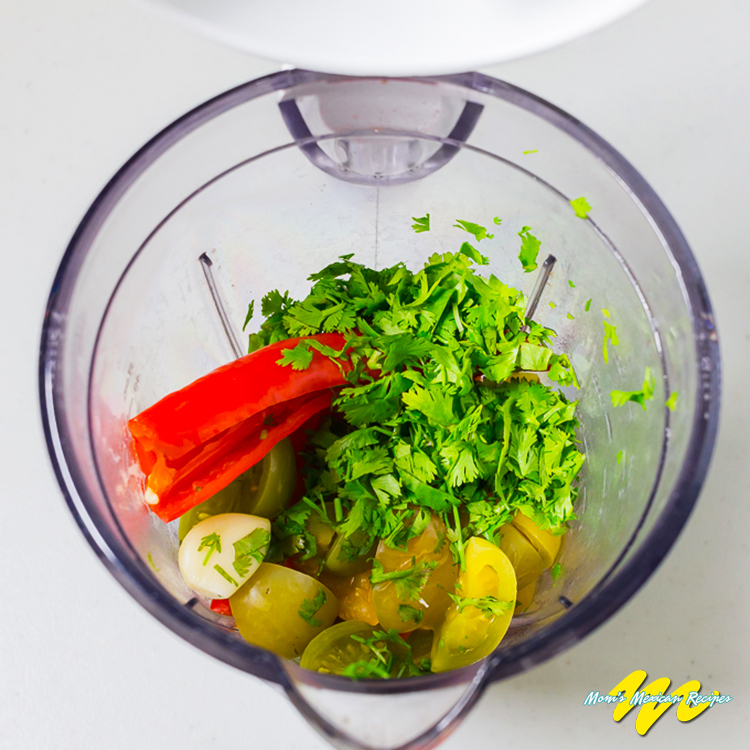 Transfer everything to a blender. Add the cilantro. Then blend to an almost smooth puree. There should be about 2½ cups puree. Fry this mixture in 2 spoonfuls of oil. Fry the tortillas triangles in remaining oil. Place on an absorbent paper towel to remove excess oil. Apply grease to a 9-by-12 inch baking dish. Make 2 or 3 layers of tortillas, shredded chicken, sauce and cheese, ending with a moderately thick layer of sour cream on top. WHAT TORTILLAS MAKE THE BEST CHIPS FOR CHILAQUILES RECIPE? For Chilaquiles Recipe most corn tortillas you can buy or any that you make will work. Just consider the thickness and the density of the tortillas. If your tortillas are moist, let them dry out in a single layer before frying, to prevent oil absorption. If they are thick ones they will turn into mushy chilaquiles. See Homemade Tortilla Recipe. Many Mexican recipes call for chili peppers. You can control how spicy the food will be by the type of chili peppers and the amount used.